The archbishop tells online missionaries that if people use the new forms of communication irresponsibly, they "can divide and deceive" and cause the “slow death for our cherished values and virtues”. 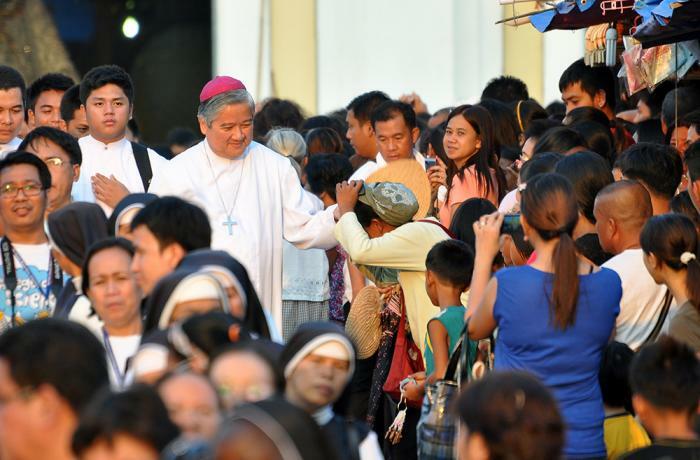 Manila (AsiaNews/CBCPNews) – Social media are a "blessing from God” but “without God” they can become “destructive”, this according to Mgr Socrates Buenaventura Villegas, archbishop of Lingayen-Dagupan. Mgr Villegas (pictured) makes the point in his message for the upcoming Catholic Social Media Summit (CSMS), which is organised by Youth Pinoy, a group of online missionaries, in co-operation with Areopagus Communications and the Media Office of the Catholic Bishops’ Conference of the Philippines. The theme of the meeting, which will be held at the Siena College in Quezon City on 17 November, is #Activate, and is expected to draw online missionaries like young professionals, social media managers, diocesan communicators and religious, congregations and communities from across the country. Mgr Villegas warns though that using the new forms of communication irresponsibly “can “divide and mislead” people, causing the “slow death our cherished values and virtues”. The former CBCP president notes that social media without ethics "spoil human progress and render development meaningless". “We need social media with God, for the service of God and for the glory of God,” he said. “Then and only then can this latest of human inventions also become the best of human creations”. In his view, “Social media is power because it can teach, it can ignite, it can inspire. It is a powerful human invention that continues to evolve and get better every minute”.